In 2000, a global alliance was formed between Fujikura Kasei Co., Ltd., Red Spot Paint & Varnish Co., Inc. and Sonneborn & Rieck Ltd. Fujikura Kasei became the parent corporation of Red Spot Paint in 2008, and subsequently also to Sonneborn & Rieck in 2010. After acquisition, Sonneborn & Rieck Ltd. changed their name to Fujichem Sonneborn Ltd. These three companies are now the Fujikura Kasei Global Network, or FGN. Together as the FGN, these companies form an international partnership which provides high-performance coatings and technical expertise that meet global specifications. Each product is locally produced and supported thanks to the network which spans the world over. Spanning the globe. Our network extends beyond our three companies through subsidiaries, affiliates, global licensees, and technical partners. FGN can provide you the benefit of worldwide expertise. Shared innovation. Combining the resources of our companies allows us to offer the latest innovation in the industry. Intellectual property can be seamlessly transferred with the assurance of complete protection. Consistency in formulation. We maintain stringent quality standards within the network. Formulations developed in one part of the world are guaranteed to achieve identical quality and performance when made by any of our partners. Regional manufacturing and supply. Now more than ever, it’s key to have reliable local supply, wherever you intend to manufacture. You can be assured our global network will meet your exact specifications wherever our products are produced. Global technical support. We know that our work doesn’t stop once the paint is shipped. Rest assured that our experienced technical support staff will be there to assist you. Respect for the world around us. Our responsibility extends beyond our customers, to the world around us and we strive to minimize the environmental impact of our business. You can be sure our products fulfill all environmental and safety requirements. 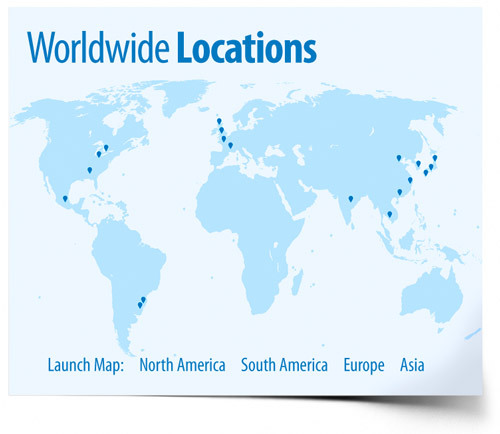 Learn more about FGN, Our Coating Products, Our Worldwide Locations, or Contact Us Today. Introduction of Fujikura Kasei Coating India Pvt. Ltd.
Introduction of Fujikura Kasei Vietnam Co., Ltd.